Outrageous and side-splittingly funny, Glenda Jaxson is known as the Duchess of comedy. Endearing, but with lashings of attitude Glenda knows exactly how to command an audience and you’ll be under her matriarchal spell in no time. Glenda’s career in comedy started 20 years ago when she accompanied a friend to an audition, whilst on the sidelines throwing suggestions to her friend comedian Rudi Lickwood spotted her and suggested she give the audition a go herself. She did and hasn’t looked back since. Glenda is a regular on the Jongleurs comedy circuit, the Hackney Empire, Shepherd’s Bush Empire, IndigO2 and comedy clubs in London and throughout the UK. She has worked extensively in Europe and performed in The Gambia in 2006. As a former cancer sufferer Glenda often performs in support of cancer charities and also performs every year at the Hackney Empire in Strictly Come Laughing along with other top comedians to raise funds for a small town in Ghana. 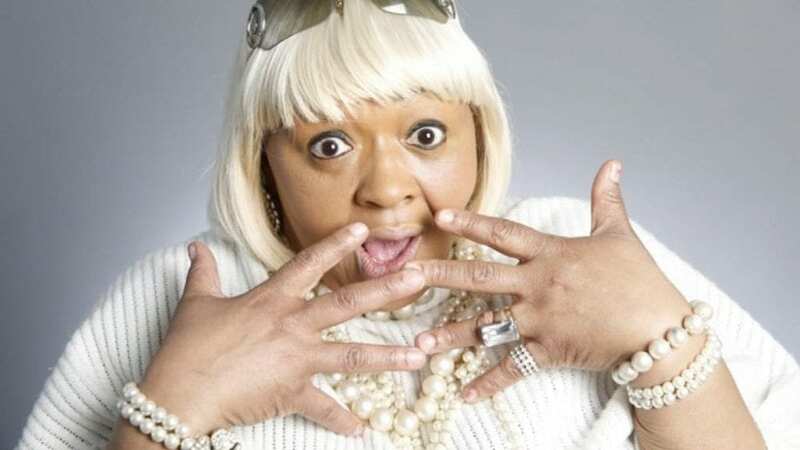 Glenda won the Best Female comedian award at the Black Tie Comedy Awards in 2009, a BEFFTA for Best Female Comedienne 2009, a BECA award in 2004 (presented to her by Joseph Marcell from Fresh Prince of Bel Air) and a Comedy Fun House Award in 2005. She appeared in the acclaimed film Story of Lover’s Rock. She was a warm up act and a panel member alongside Gina Yashere and Curtis Walker on BBC2’s Blouse & Skirt. She recently starred in an online series with Lenny Henry and Kat. She regularly guests on BEN TV and starred in the hit play Big Brother’s House which toured to London and Birmingham.